Hong Kong (CNN) A bonsai thief has stolen seven tiny trees worth at least 13 million yen ($118,000) from a garden space in Saitama prefecture near Tokyo. The loot included a rare 400-year-old shimpaku tree, a star of the bonsai world, which was due to be entered in a Japanese beauty competition this month. 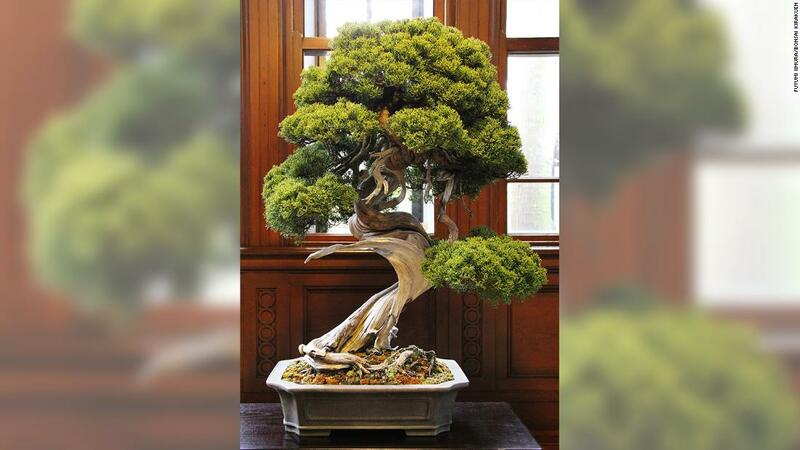 The prize shimpaku alone was worth over 10 million yen ($90,000), according to Fuyumi Iimura, wife of the bonsai master who crafted the trees. "We treated these miniature trees like our children," she said. Iimura added that those responsible for the thefts, committed over a series of nights last month, were likely professionals, as they had identified the "most valuable trees" from the couple's roughly 5,000 hectare park, which has around 3,000 bonsai trees.